Blemishes just like acne can ruin one’s appearance resulting in lowering the confidence of a person. Blemishes refer to dark marks or skin discoloration left behind due to acne whiteheads, blackheads or pimples. They usually develop on the face, back, chest or upper arms but generally can spread on any part of the body with hair follicles or pores. There are numerous things that lead to blemishes. Sometimes due to hormones, the pigment melanin (in charge of the skin color) could be in excess amounts on certain parts of the body compared to the rest leaving the skin to be hyper-pigmented. A hormone called androgen could also hyperactively increase the production of sebum making it a breeding ground for our beloved bacteria and thus, blemishes. Additionally, hormonal changes in pregnant and menstruating women can cause blemishes. Frequent climatic changes, pollution & dust can cause some major blemishes. That’s why always protect your face & other exposed parts which are sensitive to blemishes. Blemishes are also allergic reactions to certain allergies of dust, sun or overexposure to other environmental elements. Lack of any skincare routine or incorrect routine along with products unsuitable for your skin type are other major causes of blemishes. Also wrong eating habits, improper diet and insufficient intake of water can initiate blemishes. Amongst other factors would be stress, internal health problems, aging etc. Make sure to wash your skin with a face wash or soap both day and night. Use a gentle PH balanced cleanser so that your skin is not stripped out of its natural oils leaving your skin vulnerable to blemishes. Just because you see spots on your face, doesn’t mean you need to use acne products as they can be too harsh due to certain ingredients. Consult a doctor before using acne products. Use a toner after you wash to tighten your pores and moisturize with an oil-free & non comedogenic moisturizer. 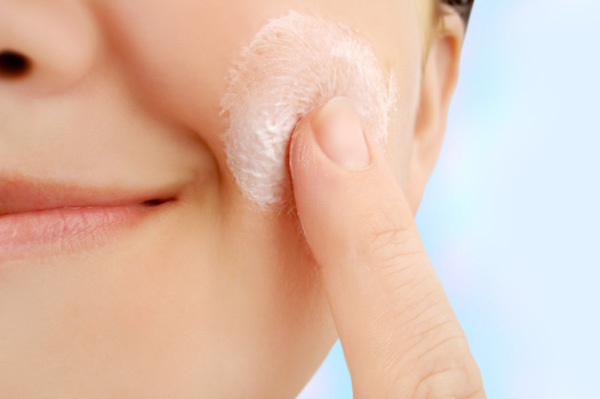 Use an antibacterial exfoliating scrub to remove old skin cells that can otherwise plug pores and generate blemishes. Use the scrub gently, just once a week as it will damage the skin and stimulate more blemishes. Make sure your scrub contains alpha hydroxy acids or AHAs as it will boost cell renewal. Take precautions in protecting your delicate skin from sun exposure by wearing sunscreen, foundation and other products with SPF15+ and above. Make sure your skin is hydrated all the time, even while sleeping; apply a hydrating cream. Make sure to sanitize your hands always before touching any part of your face because this is the most easiest way for bacteria to spread all over the skin and provoke blemishes. Also while using lip balms from small jars, don’t use your fingers for application, instead apply with a q-tip. my mother’s cheeks are dotted with pigmentation marks ever since i remember and that has made me very cautious. i take great care of my skin and because of my dry skin problem, i exfoliate it mildly everyday. but one sin i commit is not wearing sunscreen. i’ve totally given up on it. arrey i used to be so cautious about it, wouldn’t step out of the house without applying it and then kept reapplying it throughout the day as well. but more than getting fed up of the whole procedure, what irritates me most is how the sunscreen behaves once you start sweating! what a big pain in the backside. then i think about all those people living in hotter parts of the world without any suncreen and how they still have perfectly healthy skin! i guess blemishes with ageing just cant be prevented…….but sunscreen does help….but i m too lazy to reapply it every nw and then…esp i m not comfortable with the idea of appplying anything on my face without washing it…..and sometimes its just not possible…. even I dont use toners… shud I? insiya..gud 1.. :yes: :yes: I believe non alcoholic toners shd be used…like rose water,honey water,cucumber water..
what are these hydrating creams….??? ?